A regional manager says communities far away from large cities and towns are often forgotten. The South African National Roads Agency SOC Limited (Sanral) on Friday said they had created hundreds of jobs and small, medium, and micro enterprises (SMMEs) had been developed in KwaZulu-Natal. Sanral said this week they had embarked on a drive to inform stakeholders of the opportunities that existed in the construction industry. It had also provided safer walkways for pedestrians and periodic road maintenance had been carried out on crucial routes which served passenger and goods vehicles. Sanral Eastern Region regional manager Dumisani Nkabinde said through this programme, Sanral shared information with stakeholders about its continuing role in infrastructure development, job creation, and skills development initiatives, as well as engaging in dialogue on issues of mutual interest with these stakeholders. Nkabinde said communities far away from large cities and towns were often forgotten, whereas in reality, these were the very people who were in need of jobs, empowerment, and road safety education. He said Sanral would also draw from Horizon 2030, its renewed statement of intent of how the roads agency would grow to deliver a national road system that contributed to a better South Africa for all. In tandem with Horizon 2030, Sanral would also give real meaning to its transformation policy which recognises the critical role that Sanral played in the construction, engineering, and related sectors. “We are mindful of the impact that procurement and employment practices in these industries have on millions of people across South Africa. We accept our responsibility to help transform these sectors and to maximise the participation of black contractors, professionals, and suppliers beyond the current regulatory levels in all aspects of our business. 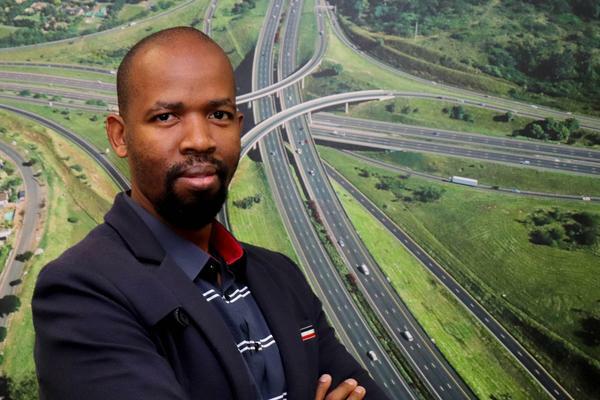 As a responsible state-owned entity, Sanral wants to play a leadership role in sectors of the economy that are critical to job creation, skills development, and community empowerment,” said Nkabinde. Sanral has undertaken several projects in northern KZN to make roads safer for pedestrians while rehabilitating and upgrading existing roads. Driven by road safety concerns, Sanral constructed pedestrian facilities on the N2 between Nyalazi River and Hluhluwe River. This project entailed the rehabilitation and replacement of the damaged existing walkway and the construction of additional walkways. He added that considering Sanral’s focus was not only job creation but also the meaningful participation of black businesses, the agency spent a total of R13 million on the employ of local SMME’s in addition to a total of 63 residents of Manguzi having gained employment – 20 of whom are women. Meanwhile, Deputy Minister of Transport Sindisiwe Lydia Chikunga, who was also on a road safety campaign in the Manguzi area, said according to the preliminary Festive Season Road Safety Report, there were 1,612 deaths on South African roads during the last festive season. The report covered the period from December 1, 2018, to January 8 2019. Of these 1,612 deaths, KwaZulu-Natal had 328, with 267 crashes. She said interventions that dealt with ameliorating road safety did not only end with driver, pedestrian, or vehicle safety. They also dealt with the improvement of hazardous South African roads through engineering. She urged road users to take personal responsibility for safety on South African roads for all 365 days of the year.